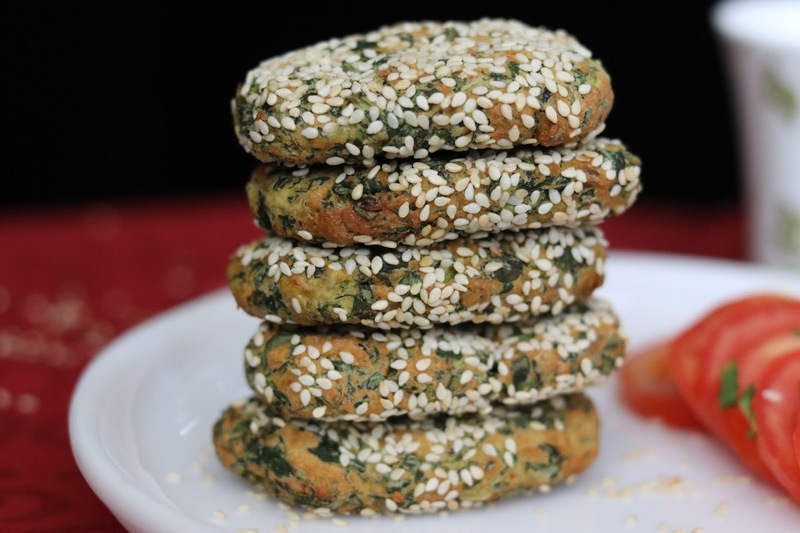 Watch and learn healthy tikki/ cutlet recipe using methi (Fenugreek leaves) and Til (sesame seeds). 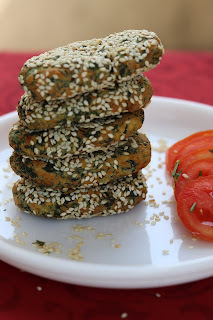 This is an uncommon Indian airfryer recipe which is healthy, quick and tasty. 1. In a bowl mix all the ingredients together to prepare mixture for the cutlets. Add 1 tsp oil in the mixture. 2. Make small cutlets of desired shape and coat with sesame seeds. 3. Brush little oil on all the cutlets for glazing. 4. Cutlets can be deep fried but to make it healthy airfry these at 180 degrees for 10 min.